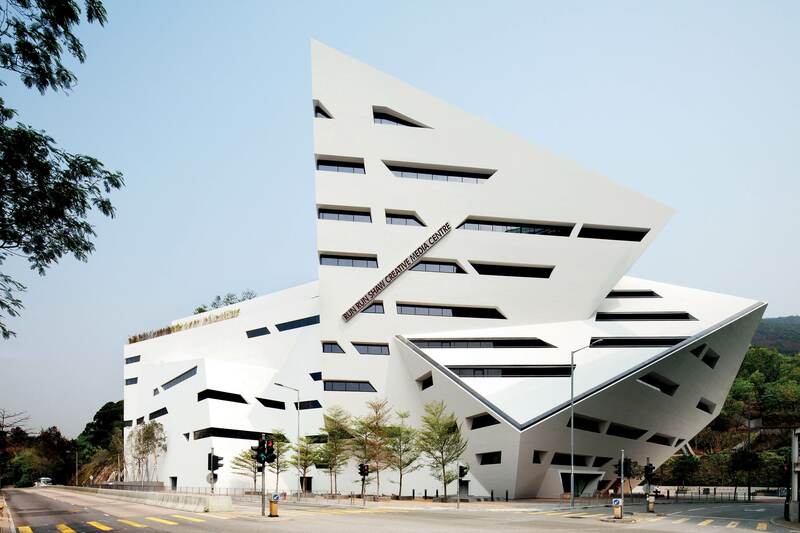 Studio Daniel Libeskind, The Run Run Shaw Creative Media Centre, Hong Kong, China © Gollings Photography PTY Ltd. The studio spaces are located in the industrial neighborhood of Fo Tan, where former factory spaces have been converted into Hong Kong based artist galleries and workshops for over 80 studios and 250 artists. Fee for the tour: $100US to cover transportation and lunch costs. This tour will run once we confirm 10 attendees for the tour. If you are interested in joining the tour, please register. - Harald Kraemer, Hong Kong S.A.R. Are you new to Museums and the Web? Our co-chairs, Nancy Proctor and Rich Cherry welcome you to the MWA2013 Conference. Join an informal session designed to orient first-time attendees and help you get the most out of the conference. A few old hands will explain how to make best use MW and answer questions. Our hope is to speed up the orientation process and to facilitate greater participation and networking. Welcome to Hong Kong by Dr Louis Ng, Assistant Director of Leisure and Cultural Services Department, Hong Kong Special Administrative Region Government. He heads the department’s museum service (including 14 public museums), visual arts promotion, film archive, built heritage conservation and protection of intangible cultural heritage. Dr. Ng began his career in public museum service in 1988 and worked in various museums as a history curator until 2006 when being appointed to the present position. Dr. Ng was trained as a historian and holds a PhD in history from Chinese University of Hong Kong and a Graduate Diploma in Museum Studies from University of Sydney. His research and publications focus on Hong Kong history and cultural heritage management. Leading edge projects that demonstrate how museums are using the Web to transform the way they engage with audiences in-person as well as online. Ignite! Hong Kong Art Portfolio Collection — A New Online Platform Developed by Oi! Papers, projects and research that question and push the boundaries of what museums are by interrogating how people use them to learn in the 21st century. Innovative new tools and approaches to working with large and crowdsourced data sets for galleries, libraries, archives and museums (GLAMs). Case studies that index the leading edge of social media practice in museums in Asia. Digital Strategies: How much can we plan for during such rapid change? Moving outside the boundaries – how museums can engage audiences beyond their walls. Grand Ballroom C Mobile in Museums, Lightning Fast! Short, fast presentations of mobile projects and research, followed by the opportunity to speak with presenters at length at their demonstration booths in the exhibit hall. Social Mapping: What Is It and Why Should We Care? A reception sponsored by the Exhibitors opens the Exhibit Hall at Museums and the Web Asia. New products, services, and designs are featured in a concentrated gathering of interactive multimedia museum vendors. The Exhibit Hall is also open all day on Wednesday, and from 8:00 am. to noon on Thursday for further interaction with the vendors. In addition, LUXLAB will be demonstrating State-of-the-art Ultra High Resolution Analytical Scanning solution. Building on the resources of the Ide Laboratory, Graduate School of Engineering at Kyoto University, LUXLAB offers analytical digital scanning at ultra-high resolution with true-colour fidelity to GLAM communities in Hong Kong. LUXLAB provides archival quality data for : the preservation of cultural objects, data mining, post-production , art insurance and as the basis for innovations in content display and interaction. During the reception, Adriel Luis, Curator of Digital & Emerging Media at the Smithsonian Asian Pacific American Center, will perform, “Crack the Looking Glass: Using technology to realize what museums were always meant to be,” – a multi-media, multi-lingual experience. Pearl Yao from Google’s Hong Kong-based team demonstrates the Google Art Project and engages in a lively discussion with museum professionals who have participated in GAP and others in the field. Join us for the Conference Reception at Hong Kong Maritime Museum. Maritime Museum is located at the Pier 8 on Central. You will need to take the Ferry from the Conference Hotel. Direction: From the Conference Hotel, please walk to the Star Ferry Pier station at Tsim Sha Tsui (Kowloon) . It is about 5-10 mins walk. Take the Ferry to Pier 8. It is about 8 minutes ride. From the Pier 8, the Maritime Museum is 3 minutes walk. Colleagues huddle over coffee and a full hot breakfast to explore topics of common interest and plan activities for the coming year. Each table is devoted to discussion on a theme proposed by attendees both on the day and in advance. Join the conversation in person and on-line, on the morning and all year-long! It's Getting Crowded in Here.... Are We Having Funds Yet? Thomas P. Campbell, Director and CEO of The Metropolitan Museum of Art, recently announced the appointment of Sree Sreenivasan as the Museum’s first Chief Digital Officer. In this new role, he will explore new digital opportunities for the Museum and lead its Digital Media Department, which is responsible for managing and producing digital content—especially documentation and interpretive materials on the Museum’s collection—and for delivering it to a variety of audiences, both online and in the galleries. Mr. Sreenivasan became the first Chief Digital Officer in 2012 at Columbia University, where he has been a professor of digital journalism at Columbia Graduate School of Journalism since 1993 and served as Dean of Student Affairs from 2008 through 2012. He trains and coaches journalists and other professionals around the world about smarter use of social and digital media. In 2012 he became a blogger for CNET News, writing the SreeTips blog about social and digital media. From 2009-2011, he was part of the founding team and a contributing editor at DNAinfo.com, a hyperlocal site named one of the six hottest news startups of 2010 by BusinessInsider. He is also a co-founder, past president, and current board member of SAJA, the South Asian Journalists Association, comprised of more than one thousand journalists of South Asian origin who are based in the U.S. and Canada (www.saja.org). He appears weekly on WCBS-TV to discuss technology trends and tips, and was a technology reporter for WNBC-TV (2007-2009) and WABC-TV (2000-2007), as well as co-writer of the Poynter Institute’s weekly Web Tips column, aimed at helping media professionals understand the Internet better(2001-2007). He published more than 40 stories in the New York Times between 1996 and 2002, including regular contributions to the “Taking in the Sites” column when the web was new. Mr. Sreenivasan has been named one of Poynter’s 35 most influential people in social media; one of AdAge’s 25 media people to follow on Twitter; one of SPJ’s top 20 journalists to follow on Twitter; one of OnlineColleges.net’s 50 most social media savvy professors in America; one of GQ India’s 30 digital Indians; and one of the Huffington Post’s 50 media people to follow on Facebook. His Twitter feed is at https://twitter.com/sree and his tech tips are on Facebook athttp://facebook.com/sreetips. Mr. Sreenivasan was born in Tokyo and raised in Manhattan, Bhutan, the former Soviet Union, Myanmar, and Fiji. He received his B.A. in history from St. Stephen’s College, Delhi, and subsequently earned a Master of Science degree in journalism from Columbia University. He lives in Manhattan with his wife and two children.